What is One Deck Dungeon? Yeti’s Cavern- If you can survive the freezing winds and biting cold, an abominable snowman awaits. In the coming months, there will be new Heroes and Dungeons added to the game, as well as a full expansion, Forest of Shadows. Defeat the Bosses, level up your Heroes and save the land today in One Deck Dungeon! Do you prefer your digital tabletop games on the go? Well thanks to the more than 500 Mobile Kickstarter backers, you won't have to wait long. 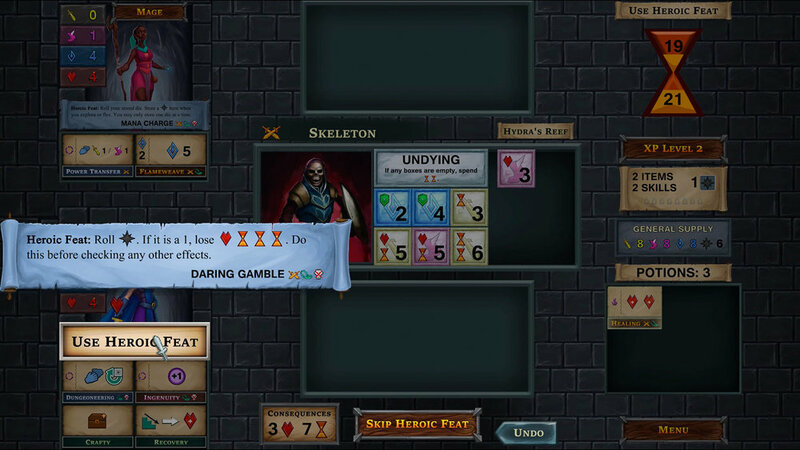 Next Wednesday, May 23rd, One Deck Dungeon will be released for Android tablets and iPad via Google Play and iTunes!